Callaway X-Hot woods and Odyssey Versa putter among the new product line up for 2013. BANGKOK, Thailand, February 13, 2013 – Callaway Golf Thailand and South East Asia today launched the Company’s premium new 2013 product lineup. 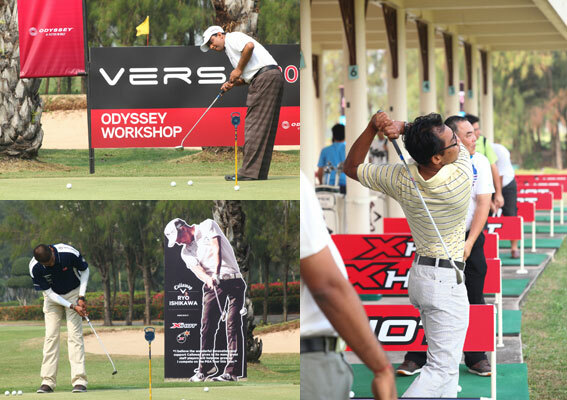 The lineup featured the newest RAZR Fit Xtreme™ Driver and Fairway Woods, X-Hot Woods and Irons, and the Odyssey’s range of Versa putters. CEO of Callaway Golf, Mr. Chip Brewer. The launch event was held at the Novotel Suvarnbhumi Airport Hotel. 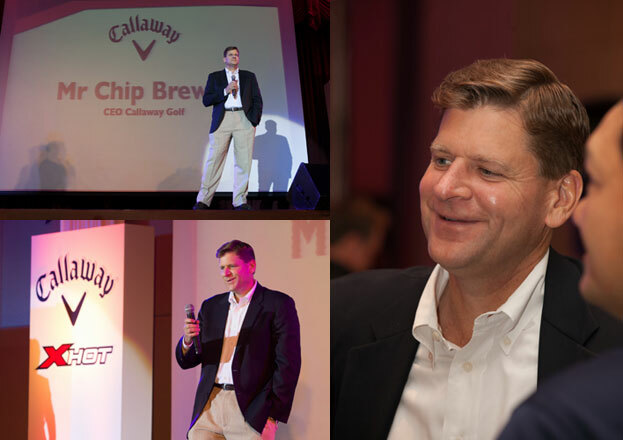 In attendance were Chip Brewer, President, CEO of Callaway Golf; as well as Leighton Richards, Regional Managing Director, Callaway South East Asia Pacific & India. The event also showcased a fashion show featuring Callaway apparel. Media and all invited dealers from around the region also were given product briefs and demos by Callaway Professionals Momoko Ueda and Pariya Junhasavasdikul. Media and retailers trying our the new equipment. In addition, Callaway also organized an “Experience Day “ for all invited guests at the Bangpakong Riverside Country Club where they enjoyed putter clinics and Wood fittings on the latest products launched. Odyssey®, the #1 Putter in Golf, introduces the new line of Versa™ Putters, which feature a revolutionary High Contrast Alignment system. 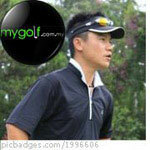 RAZR Fit Xtreme and X-Hot products available to golfers on February 16, 2013 while Odyssey Versa available in March 1, 2013.